There is no such thing as a perfect airline frequent flyer program, which is why rewards programs like Starwood Preferred Guest are so great. They allow you to transfer points to the airline of your choice when the need arises and when an award ticket you’re looking for costs less with one airline program than another. Here are a few examples of some goal-oriented transfers that can save you a great deal of miles. Air France/KLM Flying Blue is not a very generous program, but it has a few very sweet spots. For one, it lets you fly from the Continental U.S. to Hawaii on its partner airline Delta for only 15,000 miles one-way. That’s cheaper than redeeming miles on any major U.S.-based program. Then there is Israel. According to Flying Blue, Israel is in Europe, which makes a round-trip flight between the U.S. and Tel Aviv cost 50,000 miles. Most other programs put Israel in the Middle East, which makes an award ticket much more expensive. Delta will charge you 80,000 miles, and United 85,000 miles. ANA Mileage Club is another Starwood transfer partner that can offer great value on certain routes. To begin with, you can fly from the U.S. to Japan for 75,000 – 90,000 miles in business class round-trip during low season. You will pay about that much for a one-way flight on American, United, or Delta. ANA sweet spots don’t stop there. In this day and age of extreme premium class devaluations, ANA is your go-to airline for Europe and South America on Star Alliance partners – only 88,000 miles with a free stopover and up to two open jaws. 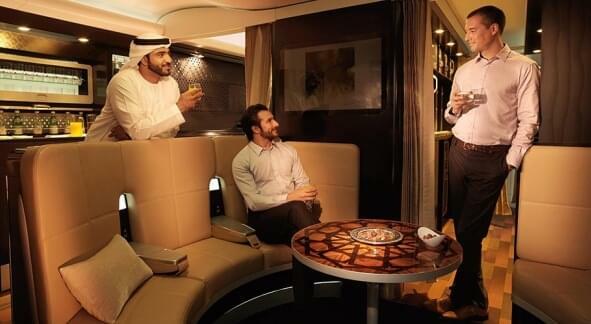 And ANA miles can get you a great price on Etihad to the Middle East and Africa – only 104,000 in business and 195,000 in first, including the best first class seat in the world aboard an A380 – the First Apartment. These prices are for round-trip flights. If you want to fly to Korea in business or first, Asiana Club miles might be a good currency for transferring your Starpoints. Asiana Club has excellent business and first class products and reasonable redemption levels: 105,000 – 125,000 miles in business and 140,000 – 160,000 in first for the greater part of the year. The higher rates apply to premium classes aboard its A380 aircraft – 125,000 miles for Business Smartium and 160,000 for the First Class Suite. All rates are roundtrip; one-way flights are allowed for half the miles. These are just some examples of getting a great bargain with Avios when you use them on short-haul flights. Cathay Pacific Asia Miles is yet another frequent flyer program that can offer you a great deal of value for your Starpoints. Its strength is not in the award chart, which offers mostly mediocre values, but in its very loose routing rules. With Cathay Pacific you can build terrific itineraries with two, three, even five stopovers and you can backtrack even to the point of origin and keep flying. For example, you can fly between San Francisco and Bangkok with a stopover in Hong Kong for only 120,000 miles in business or 72,000 miles in premium economy. 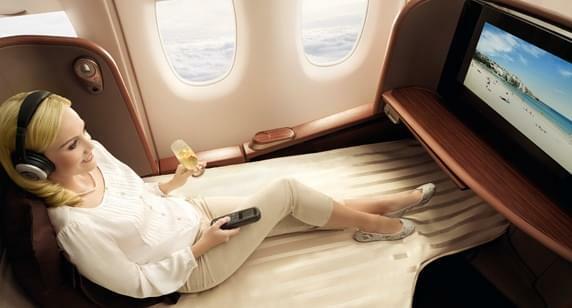 Or you can fly to four or five cities in Europe from New York for only 95,000 miles in business class. Etihad Airways Etihad Guest is an excellent program — not for Etihad flights — but to use on American, if you feel nostalgic about the old American award chart that was devalued in March 2016. But even a better bargain is a business class flight on Etihad’s partner Brussels Airlines between New York and Brussels. That flight will cost you 36,620 miles round-trip. This must be the cheapest tranatlantic business class award ticket your miles can buy. Singapore Airlines KrisFlyer has a few sweet spots, too, but the reason it made it to this list is that coveted first class suite aboard the A-380. Simply put, if you want to experience this product, there is no other way to get this award ticket, other than transferring your points to Singapore – because Singapore doesn’t release its first class award seats to its partners. You can transfer Marriott points to airlines directly, but it only makes sense when you transfer to United. In other instances, transferring 140,000 Marriott Rewards points gets you 50,000 (2.8 to 1). But if you transfer Marriott points to SPG first, and then convert them to miles with a 5,000-mile bonus, you’ll do better. In our example, to get 50,000 American Airlines miles with a direct transfer you’ll need 140,000 Marriott points. But you can save Marriott points by transferring them to SPG first. 120,000 Marriott points transferred to SPG at a 3:1 ratio, followed by a transfer to American Airlines, will get you the same 50,000 American Airlines miles after two 5,000-mile bonuses with 20,000 Marriott points to spare. Having points in a program (or programs, to count Marriott) that has 36 airline transfer partners means that you have a real choice. When you have a particular award in mind, there is always certain risk. Your points won’t transfer instantaneously, and can take up to seven days to arrive and even more. That means, there is a chance your award space might be gone by the time your miles hit your account. Unfortunately, there is no surefire way to avoid this possible outcome.